Hello everyone, my name is Adrian Theophilus Brown, a blessed and confident little savvy online business entrepreneur country boy from the God-blessed island of Jamaica. I am going to pull myself from behind the curtain and reveal to you what only those close to me would have known. In other words, you are becoming a part of my inner circle of friends. 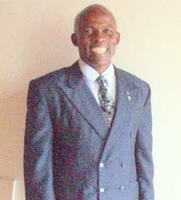 I was born in the Parish of Portland in eastern Jamaica in the year 1956, that makes me at the time of writing this article 61 years and 6 months. You will learn later that I’m a health conscious geek, so I don’t look nor feel my age. I have two brothers and four sisters, and I am the second to last of the lot. We are not a close family, because we have never had a family get-together where we all come as one family. I expressed this concern with my elder sister recently. I told her that I am going to plan a family reunion as soon as I move into my new home where I will have the accommodation. Imagine this, my eldest brother is living in England, and I have never met him in person. He left Jamaica when I was a baby, and he has not returned. He is not enjoying the best of health, so the chance of him being a part of that grand family reunion is looking slim. The last three of us, myself and two sisters were given away by our father to total strangers. I was informally adopted by a couple. Their name is Stanley and Martha Shepherd. They have no children of their own, so after their death, I inherited all their properties. This couple did farming for a living. What that meant for me was, I hardly saw school on Fridays, because I had to go with them to reap and prepare farm produce for the market in town on Saturday. As a result of that, when I graduated form high school, I was not ready for the next phase of life. Therefore, I went back to evening school where I gained my first certificate called JSC (Jamaica School Certificate). Leadership seems to be a natural trait in me. Where ever I see the need to lead I usually fall in place. As a youth in my community, I was an active and influential Scout Leader. It is said in the movement: “Once a Scout, always a Scout”. It is the training and discipline in scouting that has helped to mold my character as one with honesty and integrity on my honour. It was also through scouting that I was privileged to have my first plane ride experience. I travelled to Trinidad and Tobago to a Caribbean Scout Jamboree in 1980. I used that JSC to enter the Mico Teachers College (now the Mico University College). I was privileged to sit through a one year preliminary course where I was prepared for matriculation, and I was successful to pursue a career in teaching. I graduated and went into the classroom to teach, but discovered shortly after, that was not my calling. I was teaching children, and I love children, but I was not enjoying it. I realize I was doing a better job at helping others through advice and suggestions. It was obvious to others, so a colleague was motivated to suggest I get training as a School Counsellor. I took up the challenge and went to JTS (Jamaica Theological Seminary), and got training as a counsellor. It was during my time at JTS preparing myself to be a professional helper, that I met the love of my life. I can still see here sitting across the classroom from me. The lecturer was teaching, but I just happen to see this most beautiful student, and our eyes made four and something click, and the rest as they say is history. Colinnet AnnMarie Wiltshire became my wife two years after we graduated. Actually it was two years after she graduated, because I graduated one year before her and was patiently waiting on her to complete her studies. We are still growing to love each other despite our differences. If you can show me a marriage without challenges, then I will show you a perfect one. We had our good times and bad times. Our mountain top experience and in the valley challenges. We had even reach the point of considering separation. But GOD! I thank God that He was the third person in the relationship. The reason many marriages fail is because many couples make another human being that third person in the relationship. And many times that third person has selfish ambition that only cause separation. SEVEN: Lifestyle – Speaking of my physical lifestyle and my health conscious living. Here is where my life had a tremendous turn around. One day some time in the year 2002, I went to the rest room to do number two, and when I was about to flush, it was a pool of blood I beheld. I was so frightened that I went immediately to the doctor. He used a technical term to describe what I was experiencing. I did noted it but it got misplaced. The bottom line was (no pun intended), I was constipated. So he recommended a medication I should get to ease the problem, and told me I have to live with the condition for the rest of my life. I left the doctor’s office and I said to him (talking to myself), “you are a liar”. That was when my life change, I have never been to that doctor again. And my whole lifestyle is different, because I was determined I would never live with that problem for the rest of my life. 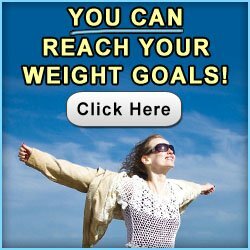 I changed the way I think, changed the way I eat, exercise, rest, and everything connected to my health was transformed from that day until this day. I become tardy sometimes, but overall I live a healthy lifestyle. Because of my health-conscious mind, I affiliated myself with all the health and wellness network marketing companies I know of coming to Jamaica. The first one was GNLD, most successful for me, to the extent that I went to England during the fiftieth anniversary celebration of the company. 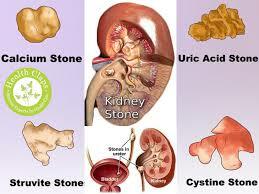 The products were very good and the money was also wonderful as a supplemental income. That company began to struggle and fortune changed. I joined a few others like Ardyss and Youngevity but non was as successful as GNLD. I manage my own health blogs where I help others make healthy choices every day. 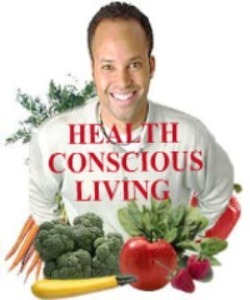 Tips To Your Health is one of two health blogs I own. I have a blog that is for Visit Jamaica. As a man and a Baby Boomer too, I know some of the challenges that men transit. It should be Men-opause, but they opted to call it andropause instead. 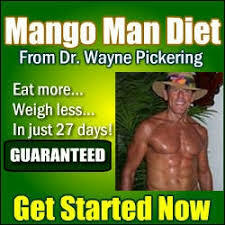 Not that I am experiencing any symptoms of such, however, there are certain inevitable changes that you cannot escape. NINE: What I believe – I believe in God the Almighty creator. I was grown up in a christian home, but only attended church because I was forced to go. But after I changed my lifestyle, my mind was also affected. I discovered that the mind and body affect each other and are virtually inseparable. I’m a firm believer in The Almighty God, and I will do nothing before consulting my creator. And God is, as it were, just putting all the pieces together for me, like a dismantled jigsaw puzzle. All things considered though, it would be my greatest joy, when you come to Jamaica to visit a church. They are the easiest place to find because Jamaica is in the Guinness Book of Records for having the most church per square mile in the world. I came to realized that the success or failure of my life start in my mind. I had to work on the thought process and bring it under control. So what I believe about God had to go further than a mere belief in God. I became hungry and thirsty for righteousness, and began to cultivate an intimate relationship with God, to see growth in my Christian walk and experience. I am now passionate about being a soldier for Christ, and I will fight with no surrender and no retreat. My aim and objective is to shine and reflect the true light so others may see my good deeds and follow me as I follow Christ. I have many wishes and desires in life. I know that my life here on earth is not by chance, accident nor coincidence. My passion and purpose is to show others the blessings of living a productively healthy life, and the many rewards that follow as by-products. My greatest joy and satisfaction in living is to help another person to wake up to the possibility of discovering greatness from within. I wrote a few eBooks in an effort to help others towards self improvement. 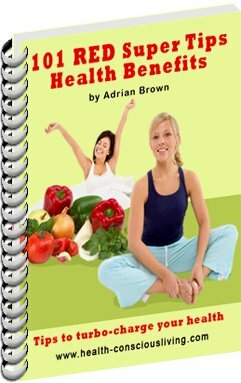 The first eBook I wrote was call “101RED Super Tips Health Benefits” The RED is an acronym for Rest Exercise and Diet. 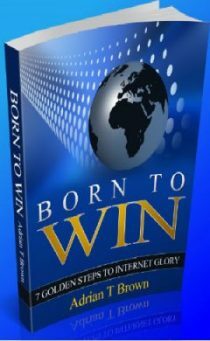 Another eBook I wrote: “Born To Win“. This book is to help my subscribers in the Network Marketing online business. 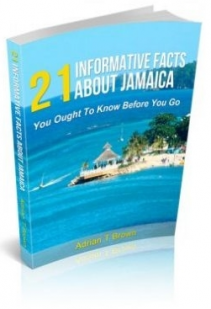 Another eBook of note is “21 Facts About Jamaica“. These are “Rules and Laws” of Jamaica for visitors. The method can also apply to any Brick and Mortar business and experience tremendous success. I am here for a purpose, and I know that is to make a positive difference in the life of others. Helping others is not difficult, it comes naturally. In other words, it is in my nature to share my life with others, but it is not without struggle as is life itself. Life is all about overcoming the challenges and find solutions for the problems in our lives. I had my full share of struggles to conquer, and one of them was a sexual compulsive disorder. That is how I described it because I knew it was not healthy for me. However, I had great difficulty overcoming that problem. I went for counselling, visited psychology and psychiatry treatment, but the problem persisted. It was not until I surrendered my life completely to the Lord Jesus Christ. Since then I became serious about living a committed Christian life. I am now totally delivered from that plaguing problem. I am a new person, as the scripture says: “Any one in Christ is a new creature (creation)”. May I drop this nugget in here, if you are having a struggle that you cannot conquer, the solution is to allow Jesus to take control and fix it for you. A – Living for yourself is lonely, boring and sad. But living for others is fun, joyful and fulfilling. The secret to life is to give your life for the service of others, and you don’t even have to look for reward from them. It is even better to help those who cannot reward you here and now. I put other peoples’ needs before mine. This stems from my secret to happiness revealed by Zig Zigglar who said, “Help others get what they want, and you will have everything you want”. Life is like breathing, you have to give to receive. Too many people are alive but not living a meaningful life, because they are not looking for and utilizing opportunities to make other lives better. B – I have learnt that it is more blessed to give than to receive. It is so fulfilling to hear someone say to you: “thank you and God bless you“. It does something to the spirit in you. C – I have learnt to take control of my life. Never let others control your life. By that I mean, be confident in yourself and don’t be swayed by the opinion of others. Also don’t give anyone the permission to make you angry, because that person controls how you behave. You decide to be angry or not to be. D – I have learnt that success beget success. If you want to be successful, find successful people to connect with. I stick around successful people and learn from them. E – I have learnt to leave the past behind. Do not drag the load of the past with you. that will slow you down and restrict your success rate. A – Adjusting my mind-set and controlling the way I think from the earliest possible time. The mind is the control center of your life. If the mind is in order,everything else will fall in place. B – I would think of helping others far more than thinking of helping myself. Because the more people you help, is the more help you will get, it is just a natural principle of life. C – I would surrender my life to the Lord Jesus Christ and stop the struggle. Freedom, true freedom is to know Christ and Him crucified. I would cultivate a longing, deeper thirst and desire for God. D – I would live my life on purpose one day at a time. In fact that is my present status. I am living today as if it is last day I have on earth. But at the same time, I am planning as if I have another 100 years to live. E – I would never give up on my dream. So many times I was well on my way to financial freedom, but because I met a little challenge I either gave up or slow down. I am now motivated by challenges, because once something is difficult, it is less competition to encounter, and more successful when you conquer. FOURTEEN: Motivated every day to do more for others – I get the kick out of life when I see a face light up from the effort of my ministry. What ever I do now I treat it as ministry to the Lord. I am deeply involved in the men’s ministry at my church, and our focus is to assist the vulnerable, that is the very young and the very old. One of the most exciting phase of my life started with one of successful fellow Jamaican who reminded me that I was born to fly. Alvin Day’s book “If Caterpillars Can Fly So Can I“, is a must read for all individuals who want to soar like an eagle. During that same time when I was reading the chapter on “The Law Of Words”, my pastor preached a sermon just for me on a similar topic “The Power Of Words”. That was truly a divine hand at work! That was indeed the beginning of greater things to come. My mantra, mission, mandate and sole purpose is to “Empower individuals to reap the benefits of living a healthy, purposeful and satisfied life”. FIFTEEN: I am a natural optimist. I search for the opportunities in life’s challenges and difficult times. I sees a glass half full instead of half empty. My first quest for happiness is found in a genuine relationship with my Creator and building meaningful relationships with family and friends. I have discovered the secret in being a friend before I can have them. My love for God and people have driven me to be an unusual risk taker who has developed tremendous courage over the years of plowing through challenges to find the solutions that are hidden from the cowards, fault finders and doubters. I am a born helper, it just naturally flows from my guts to lend a hand, encourage and motivate others. No surprise I have chosen the career to be a professional helper as a Guidance Counsellor (now retired). I have discovered that the secret to happiness is borne out of developing an attitude of gratitude. I find the often over looked little things to be thankful for, instead of finding fault, criticizing and complaining about what’s wrong and what I do not have. My health is my greatest wealth. My life epitomizes the Garden of Eden way of living. I believe that thinking, eating and behaving healthy can prevent you from going through many unnecessary sufferings. Another area of internet marketing focus is more on the national interest than for personal gain. I have an interest and desire to see Jamaica under God grow and prosper as the paradise gem of the Caribbean. 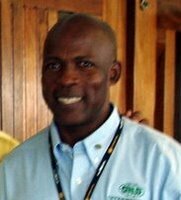 I am now employing some of my time in the travel industry, and my main desire and focus is to bring more visitors to this beautiful island called Jamaica. I am offering a service which is providing valuable information for jetsetters vacation travellers to know about and come to Jamaica, not just once but time and time again. Jamaica is naturally an attractive and beautiful place on planet earth. The climate is perfect and the people are warm and friendly. If you really want to know and enjoy the wonders and hidden gems of Jamaica, you have to come out of your all-inclusive and meet the people and mingle with the culture, and there is nothing to fear,once your are guided. I am a born winner. My ultimate goal in this earthly life, is to help a thousand individuals discover the giant sleeping within and develop their true potential of self actualization and greatness. The saying always holds true “A winner never quits, and a quitter never wins“ .